Robert's Selections reflects wines we have enjoyed in our home, at friends, or by dining out. 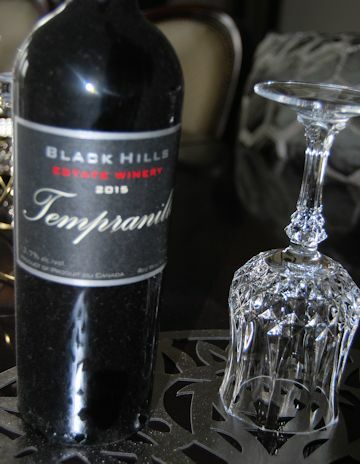 Our selections are based on a glass or more of each wine in an enjoyable surrounding. . These are the wines we recommend for your enjoyment! The year 2019 began with light smooth wine from Seaside Pearl Farmgate winery. 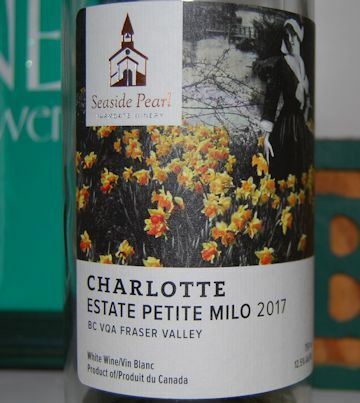 The Charlotte Estate Petite Milo 2017. Softy honey and pinapple along with citrus tomes highlite the wine. Wow such a smooth wine aromas of peach and honey, mingled with apple, kiwi and floral notes. Its unique acidity stimulates the taste buds. 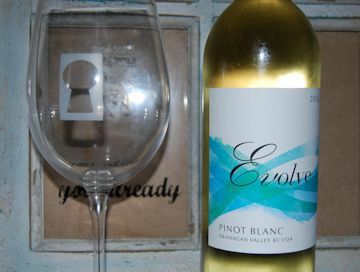 Evolve a project of Harry McWatters and ENCORE Vineyards Ltd. 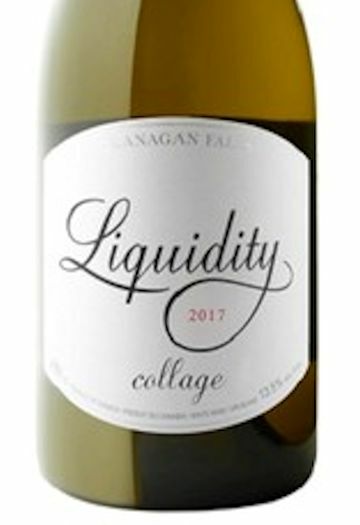 The Pinot Blanc 2016 is a supburb wine proving hints of Granny Smith apple, white peach, and pear followed by hints of grapefruit. 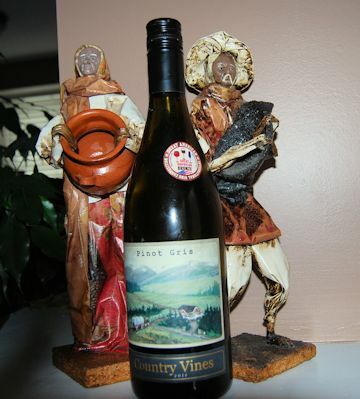 From Richmond BC Country Vines Winery comes this rather nice PInot Gris. The wine provides an array of nice citrus favours with a touch of honey. The wine Is a topical bend of 6 grapes. 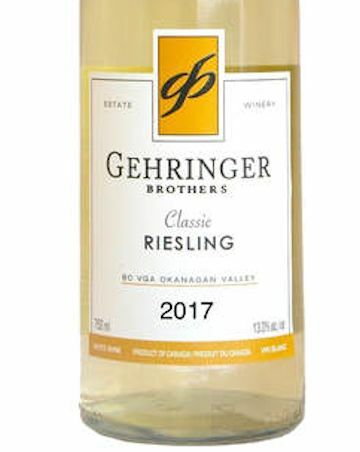 Featuring aromas of ripe papaya, yellow plum, peach and honeysuckle, with a round mouthfeel and flavours of melon, starfruit, apple, lime, and spice with keen minerality. Its gentle touch of sweetness will make a favourite patio wine this year for sure. 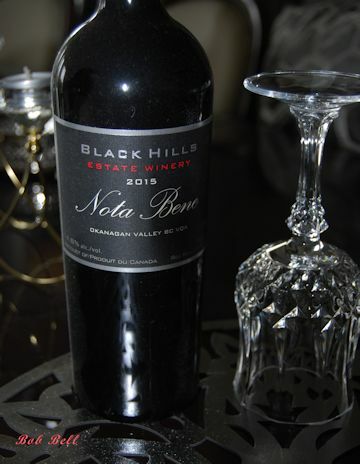 The well established often award Black Hills Winery in BC's OKangan is well know for its icon red Nota Bene. One can only savour in its luscious dark fruit, mocha, and baking spice flavours. The 2015 vintage is considered to be one of the best! 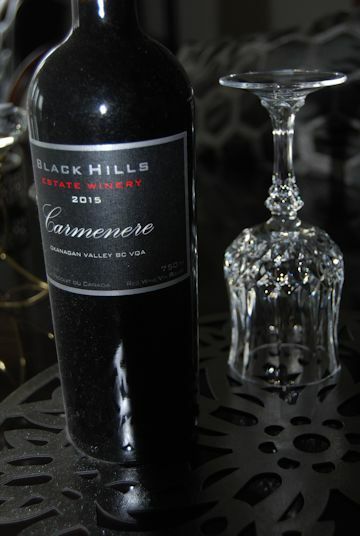 Carmenere 2015 comes with a dark almos black colour. The aroma ahhh dark fruit all the way, maybe a touch of pepercorn . Its complexity makes it a most interesting wine. Another great wine with a price to match. Dark fruits cherry hints of Chocolate. 2015 was a good vintages Changes of finding it rare. One friend had only one word to say "amazing"